On Friday, 10th November 2017 19:00hr, a unique classical music concert entitled ‘Composer in Concert – celebrated composer John Carmichael together with pianist Antony Gray’ will be held at the Cathedral Museum, Mdina. Historic Piano Concerts in collaboration with Cathedral Museum, Mdina is offering a unique and rare opportunity to listen to one of the world’s greatest living composers – John Carmichael, play his own compositions together with concert pianist Antony Gray. John Carmichael (b. 1930) was awarded the prestigious Medal of the Order of Australia (OAM) ‘for services to the arts as composer and concert pianist’ in 2011 during the Queen’s Birthday Honours awards. His compositions include the Concierto Folklórico, for piano and string orchestra; Phoenix – concerto for flute and orchestra; the Trumpet Concerto; and many other compositions for piano and other instruments. Carmichael’s music is full of beautiful melodies and themes, and many times, infused with a distinct sense of rhythm and novelty. 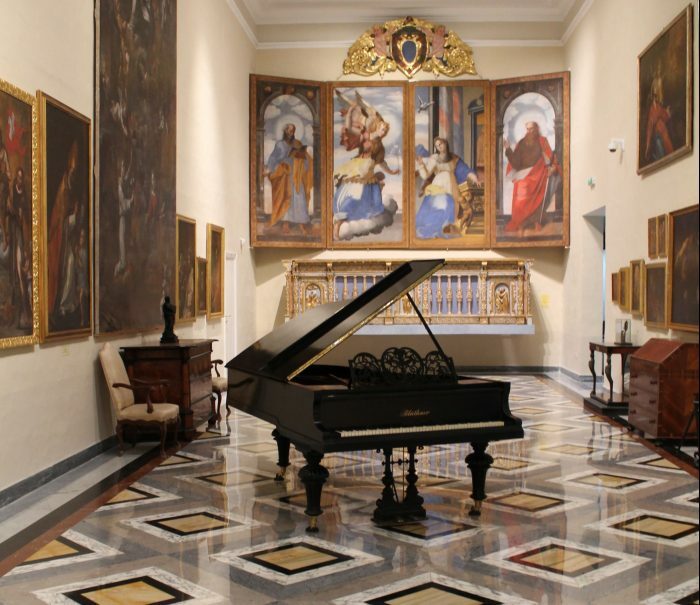 Historic Piano Concerts offers a unique classical music experience through the combination of top musicians, one of the most inspiring and authentic-sounding pianos on the island, and a stunning venue – the Cathedral Museum in the heart of Malta’s medieval city of Mdina.